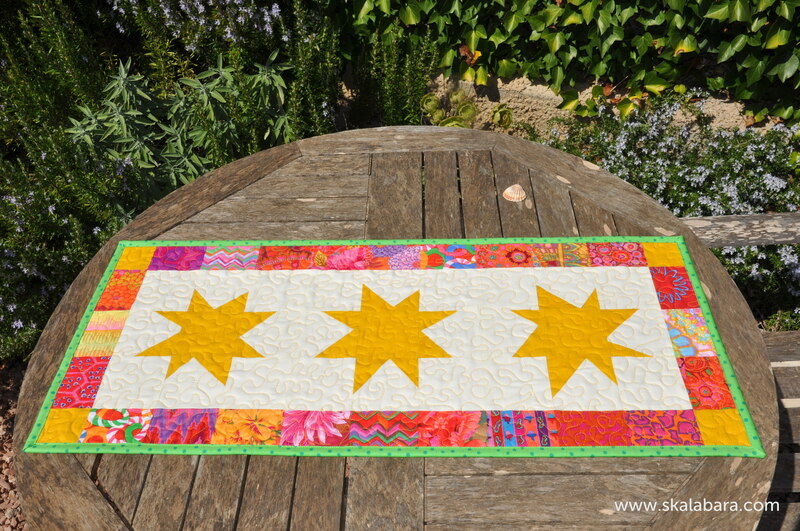 This entry was posted in quilts, small projects and tagged block, finished quilt. Both your runners are bright and beautiful, Barbora! Those stars sure pop! Thanks for stopping, your Christmas table runner is amazing – love the design! Thank you Teje for your “sunny” comment. Thanks, made a few more. I think my table runner period is now over. So love this table runner. Thanks for the inspiration! Sometimes you need smaller projects that you can finish quickly…they make me feel like I’ve accomplished something. Bed-sized quilts sometimes just take too long and I get bored. 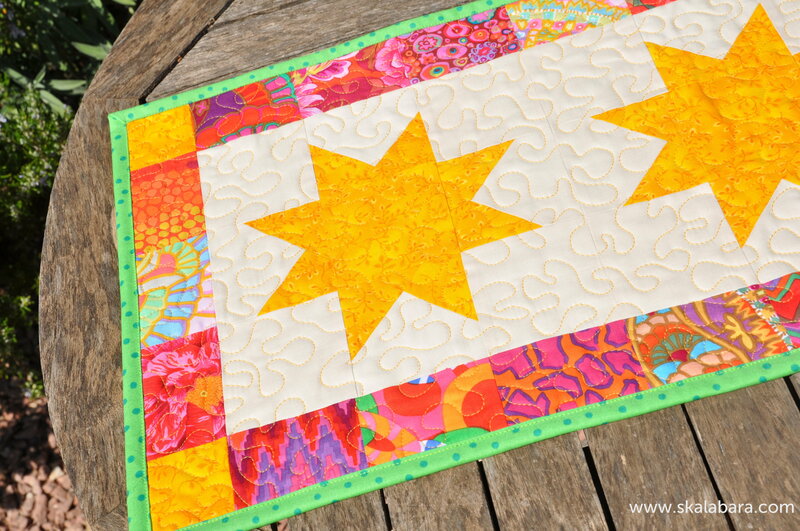 Love your finish and all those bright colors! You are so right with your comment. A huge quilt takes sooo much time to finish. When working on a small project you can see the result with a couple of hours. And this can brighten your day!